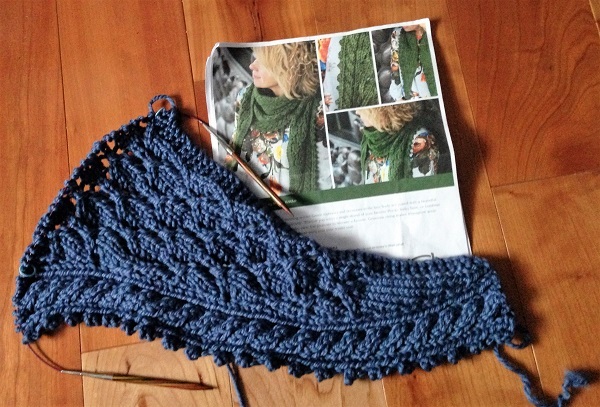 The knitting has been going slow, as it should, and as a result I have a tiny bit of knitting to show you. It’s actually been kind of nice to not be in my yearly must-knit-something-for-everyone-and-I’m-on-a-holiday-dealine mode. Makes things a teensy bit less stressful. 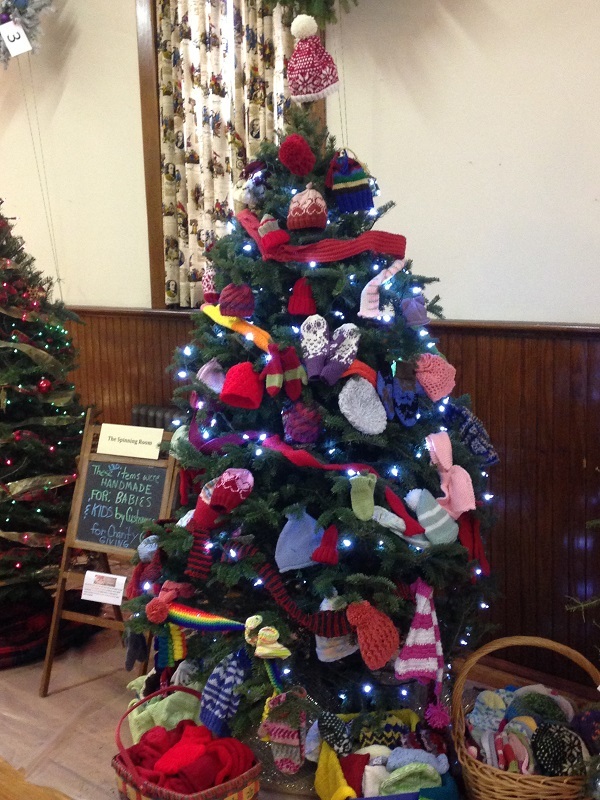 Handmade hats, mittens and scarves to give to those in need. Those baskets are overflowing – over 200 items were made! We did our yearly wake-up-early-on-Sunday-and-get-to-the-shops-before-everyone-else Christmas shopping trip this past weekend. We got almost everything done and with almost no aggravation. 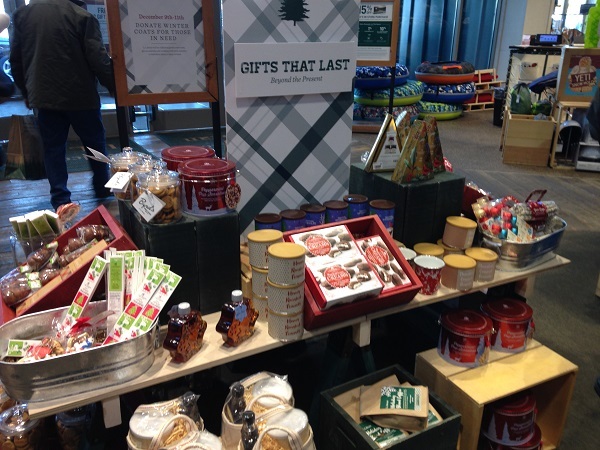 How can these be “Gifts that Last” if they are food? 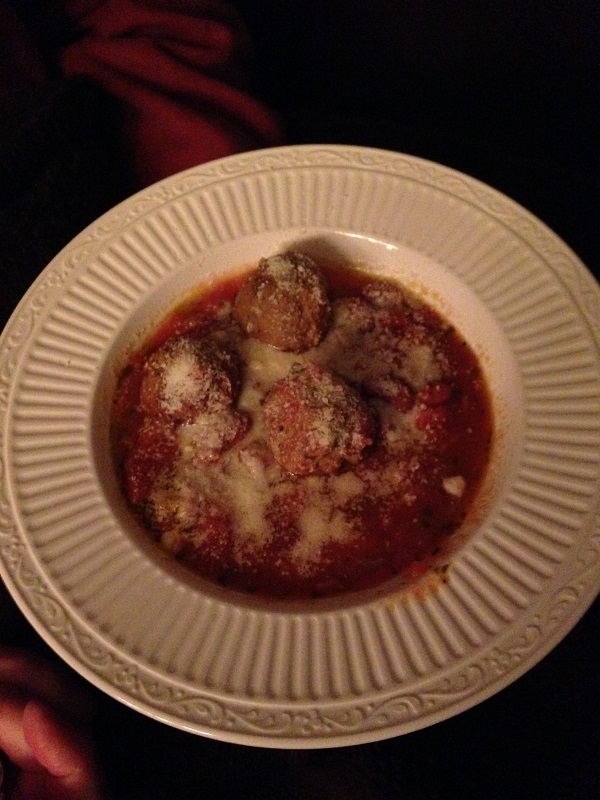 Posted in Uncategorized and tagged alpenglow, pesto meatball stew, sheep slippers, shopping, tangled on December 13, 2016 by lizytish. 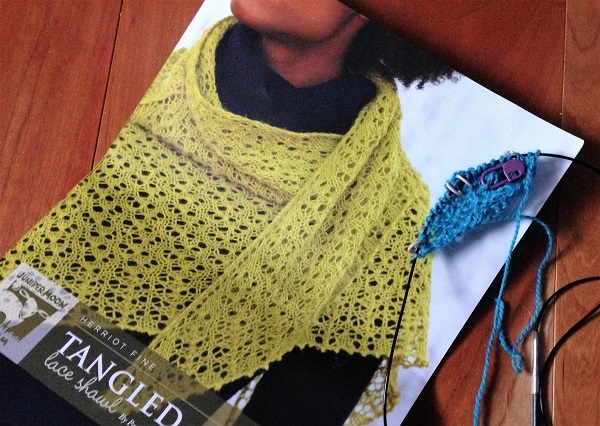 Love the tangled and aspen scarves. They look challenging. 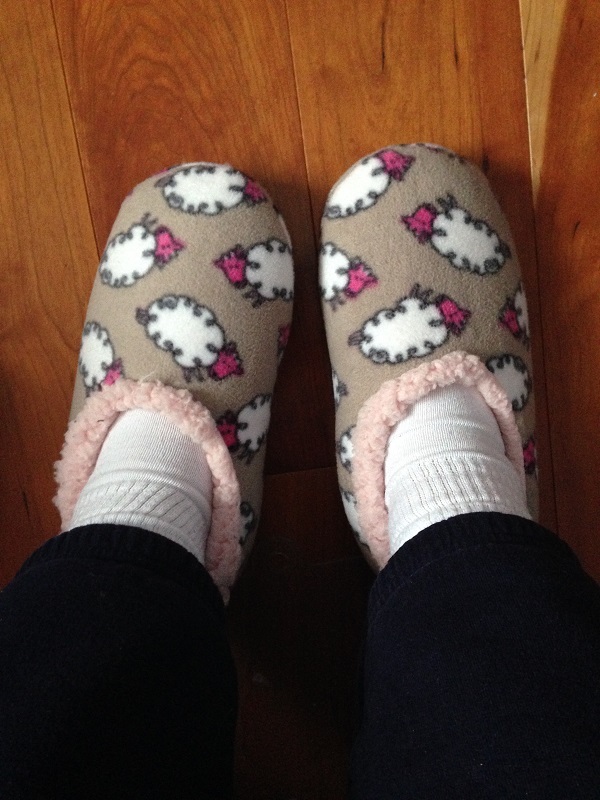 Cute sheep slippers , too cozy with the crock meal… have a good night!!! I love the look of the Alpenglow scarf. And I was grateful to see the picture of The Spinning Room Christmas tree, since I could not make the event this year. 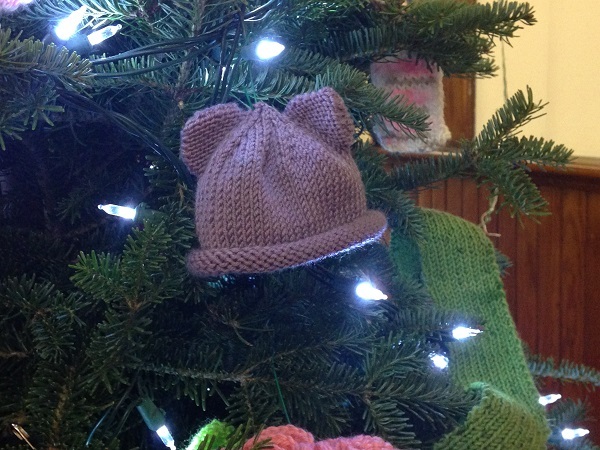 Lots of kids will be staying warm in style thanks to the generosity of so many talented knitters……. I hope you and Paul have a wonderful Christmas this year.